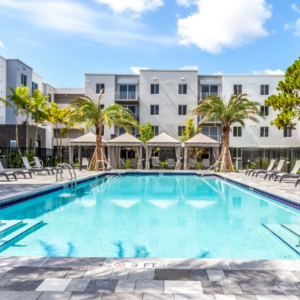 Metropolitan Apartments offer the perfect blend of classical modern architecture, luxurious finishes, and resort style amenities, all just two blocks from the vibrant dining and entertainment of Wilton Drive. 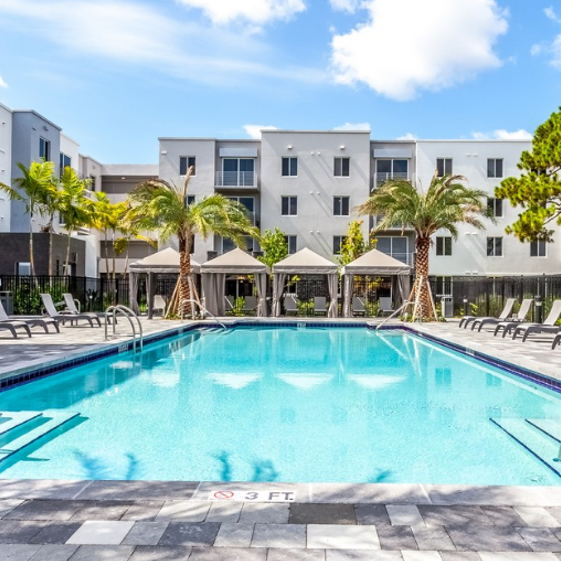 From athletics to relaxation, the amenities at Metropolitan make an art form of living well. Enter our clubhouse to find a venue for intimate events, upscale parties, and everyday relaxation. Take advantage of Wi-Fi access. We also have big screen TV’s for sporting events and movie night. Our fitness studio is outfitted with circuit trainers and cardio machines. You will also find a yoga studio and massage room onsite. Residents will enjoy the boardroom for private meetings, business center equipped with computers and printers and a cyber cafe. 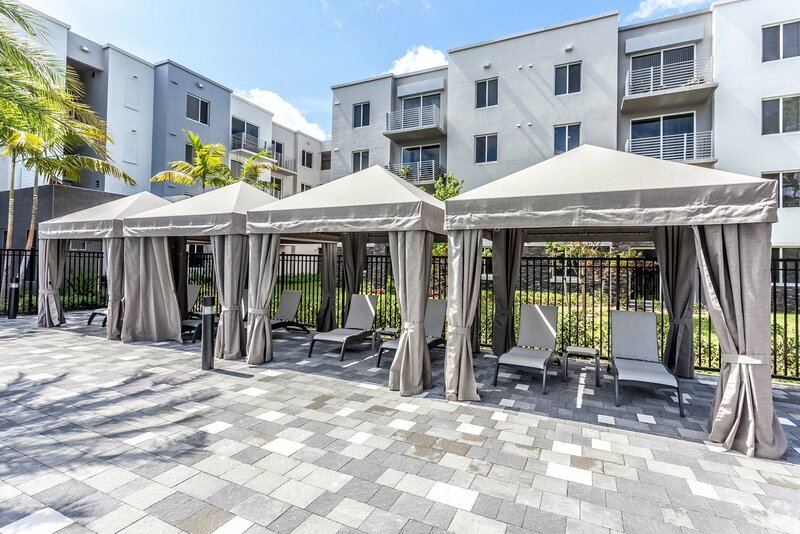 Head outside where residents can relax at our resort-style pool and hot tub. Want to escape the sun, we also have poolside cabanas for more relaxation. We also provide an outdoor kitchen and BBQ area for residents who enjoy grilling their favorite foods. Other great amenities include our dog park, herb garden and car charging station. You will also like the air-conditioned storage perfect for keeping your bike safe from the elements. We also provide a car wash area. And twice a month we have a professional car car company come and take care of residents cars with a deluxe hand wash and interior clean for just $25. 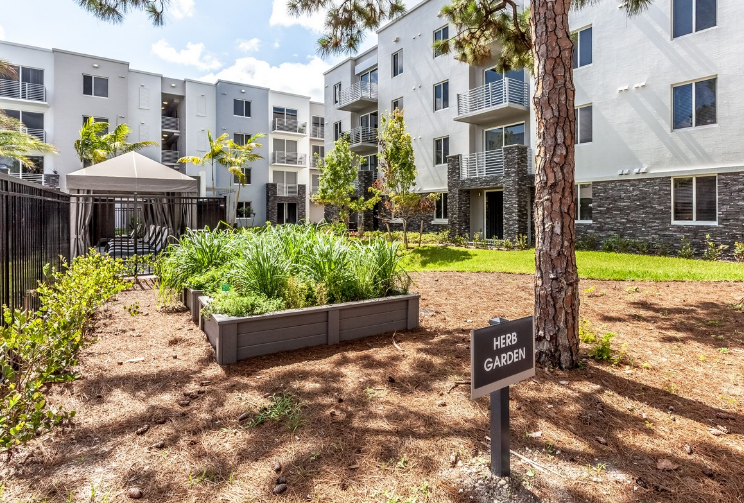 At Metropolitan apartments, we are all about the environment as well. We provide car charging stations for residents who have chosen hybrid cars. 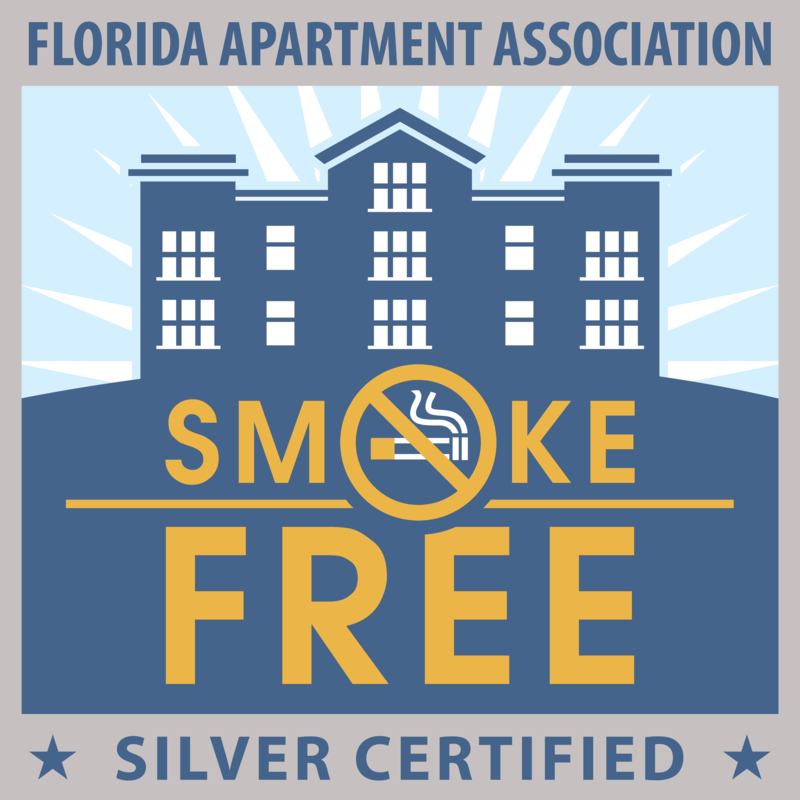 Metro is also smoke free silver certified by the Florida Apartment Association. Smoking is prohibited indoors and within 25 feet of buildings and amenities. Our studio, one, two and three bedroom apartments also offer the luxury you are looking for. You will find timeless, modern architecture and elegant finishes. Spacious floor plans offer open kitchens with island bar seating, luxurious master bedrooms and dramatic balconies. While Wilton Manors has earned a reputation for being a world of its own, the local coffee shops are no different. The Alchemist offers a range of inventive drinks, sandwiches, and salads, nestled in Wilton Manors eclectic Eucalyptus Gardens. 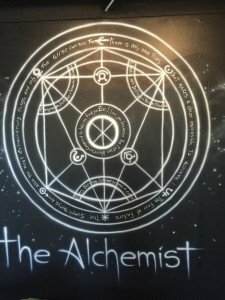 The Alchemist is part café, part science lab; with savory coffees and flavorful teas brewed in chemistry kits, then served in beakers and mason jars with carabiner handles.